Alhamdulillah that awliyaullah come into our lives to bring the light of Holy Qur’an and to revive the sunnah of Nabi sallallahu alayhi wa sallam; the way, the love and the example of Sayyidina Muhammad sallallahu alayhi wa sallam within our hearts, within our lives and within our way. Shaytan comes to block everything, veil everything, distract us like a cartoon with ‘the road runner and the coyote’,. That we are on a mission, we are on a movement and all the coyote wants to do is to deflect us to fall and to move into trouble. Always keeping that as the core of our being. That why does somebody say, “this is forbidden?” Hmm, when the coyote said something is forbidden look with your heart into it, and say, “there must be a secret`. There must be an energy, a reality, a dressing within it,” that if you achieve that dressing you keep going faster and faster and it becomes harder and harder for the coyote-which is an example of a Shaytan – that makes it more difficult for the coyote/Shaytan, to catch. So his whole way is based on making a distraction so that you don’t achieve, we don’t achieve that light, that reality and the dress that Allah Azza wa Jal wants for us. Why Allah (aj) wants us to go for Hajj? All of Islam is built on tabarak, built on blessings. Some places Shaytan veils so that we don’t understand and others he allows it to happen! The people of baseerah whom Allah Azza wa Jal granted a light, they see that light in everything and they are able to understand where Shaytan is veiling humanity. In the way of tabarak, in the way of blessings, our life is about seeking blessings. 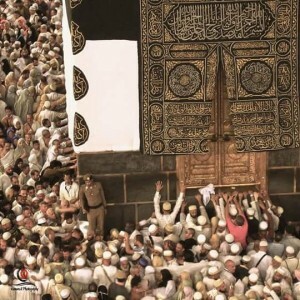 So they give us from the example of Hajj and understanding Hajj. We have to ask for the understanding and for hikmah that why Allah Azza wa Jal wants us to go for Hajj? Why doesn’t Allah Azza wa Jal just dress us here with that reality? Because it requires humility, that “yaa Rabbi I am in need of seeking You,” because Allah Azza wa Jal needs to be sought. I think it’s ‘mureed and murad’ that one (mureed) you are seeking Allah Azza wa Jal, but very few are sought (murad); whom Allah Azza wa Jal seeks them and dresses them and blesses them. But our understanding for the masses and for the way, is to constantly seek Allah Azza wa Jal’s Rahma and blessing. 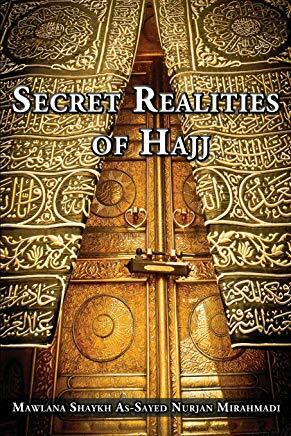 So we understood the hijra and the Hajj that we have to go, it is a sign of humility and as soon as we go then we ask, “Why do I have to make tawaf around this stone building?” Allah Azza wa Jal is not in the Ka`bah. So we keep saying it and at some point it is going to click for people, the understanding of tabarak and blessing. 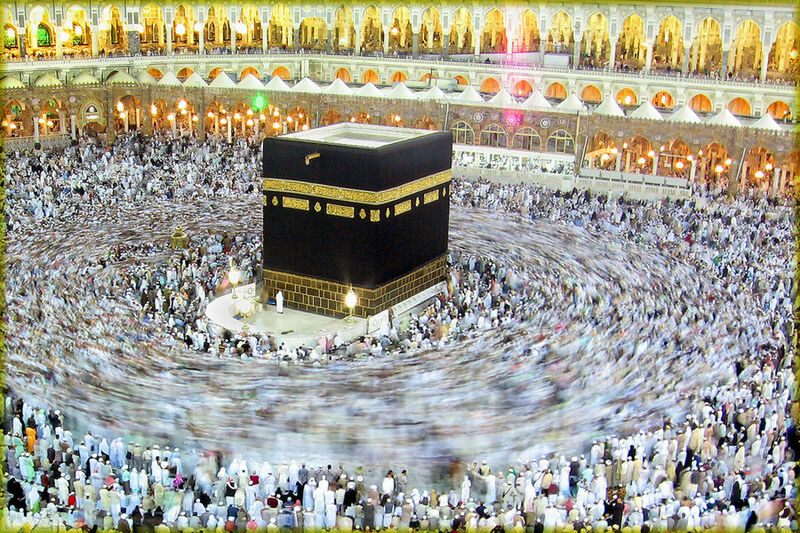 Why are you making tawaf around a house of stones? Allah Azza wa Jal is not there but there is an emanation and a secret emanating from that location. Allah Azza wa Jal does not send tajalli only onto wood and to bricks and inanimate objects, there must be a light, and arwah, a secret of a soul and a reality in those locations. That seen and unseen because we are from the people of faith, not only what you see but more of what you don’t see must be there. What you see are stones, why are you going and making tawaf around stones? So this is an example of tabarak. When people come and say, “There is no need to kiss the hair of Prophet sallallahu alayhi wa sallam,” Are you crazy? 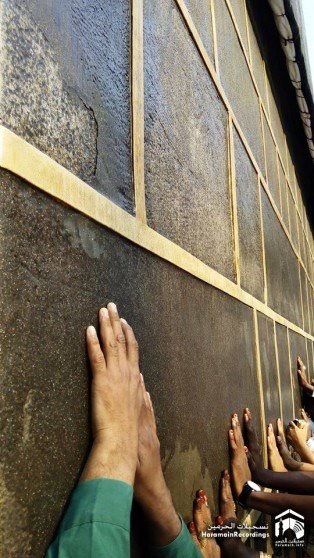 Why are you going around the stones and after you complete the seven tawaf, why do you kiss Hajr ul aswad (the Black Stone)? Why do you kiss the stone? It’s because you say it witnessed my tawaf, it is a stone from Paradise. Who is the owner of Paradise? Sayyidina Muhammad sallallahu alayhi wa sallam, then again you should be kissing the Hair of Prophet sallallahu alayhi wa sallam! 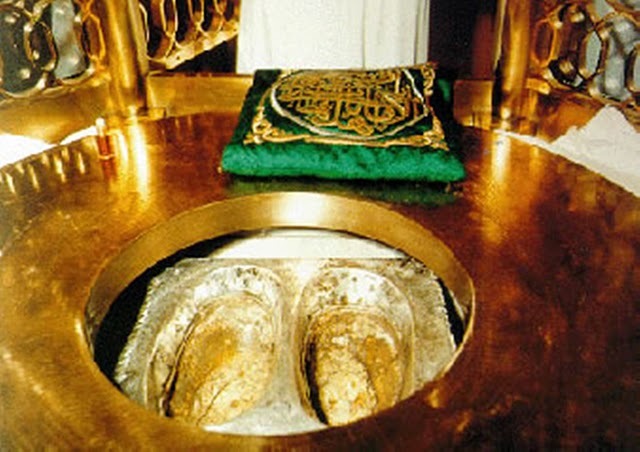 On Hajj why do we have to go to maqame Ibrahim which is the footprint of Sayyidina Ibrahim alayhi ‘s-salaam? because it has a tabarak, a blessing and everybody is doing that. 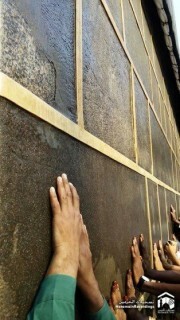 Why do they go to the Ka`bah and they are touching with their whole body the stones of the Holy Ka`bah? It’s for tabarak and blessing. Why do you go to Safa and Marwa (two hills at Mecca), you go back and forth, back and forth and then drink the zam zam? Why are you drinking water to receive a blessing? Why doesn’t Allah Azza wa Jal just send it to you directly? If Allah Azza wa Jal comes to me directly, no need for Ka`bah, I will sit here and let Allah Azza wa Jal send the emanation for me. Why do I have to drink zamzam? I will sit here and let Allah Azza wa Jal dress me and pour into my heart from these realities. Maybe because I think too highly of myself? This is because this is from the waswas (whispering) of Shaitan where Shaitan thinks very highly of himself. The symbol of being humble and ‘seeking out a means’ is all of religion. In every act that we are doing, is a sign towards humility and seeking Allah Azza wa Jal’s Rida and satisfaction. So the Hajj is an example. Then we go into the stories in Holy Qur’an. Why Sayyidatina Maryam alayhi ‘s-salaam had a maqam that was so holy? Sayyidina Zakariya alayhi ‘s-salaam is a prophet of Allah Azza wa Jal, from Bani Israel which had very little value of women, they had little recognition of women at that time. To understand tabarak that this is a prophet of the Divinely Presence and for ninety-years, not the prayer that he wanted awlad (a child) was answered, for awlad (child) and for someone to inherit his way. For ninety-nine years that was not answered, so tabarak is what? He came in to a maqam of a female, of Sayyida Maryam and he saw the miraculous signs in there; there was food/fruits that was not from the season, he saw the light and realities and immediately understood that there is a tabarak and I am going to make a du`a. Why? Why Allah Azza wa Jal waited ninety-years years for that? because you have to have a state of humility, a state of khushiya and a softness within the heart. That whatever Allah Azza wa Jal gave to you, you are always in a need to seek Allah Azza wa Jal; whatever I gave to you, if you are humble enough you will see that above you this females maqam, this hazrat’s (noble lady’s) maqam (niche) is very powerful. Immediately make your du`a and the du`a was accepted. So now everything about Islam is based on tabarak. Our Hajj is all based on tabarak. 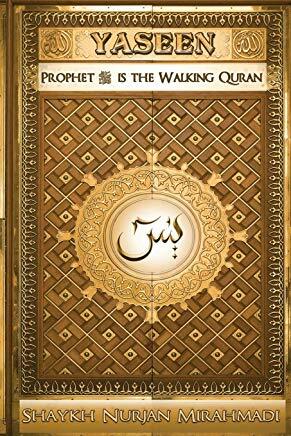 The stories within Holy Qur’an are all based on tabarak. Location, why Allah Azza wa Jal wants you to step into a location to receive those blessings? because Allah Azza wa Jal asked from a prophet of the Divine that: move into the maqam of Sayyida Maryam and make that du`a and your life’s du`a came true. We go into the example of Sayyidina Musa (Moses) alayhi ‘s-salaam. When Nabi Musa alayhi ‘s-salaam was running from Fir’aun (Pharaoh) and took his nation to the edge of the water? 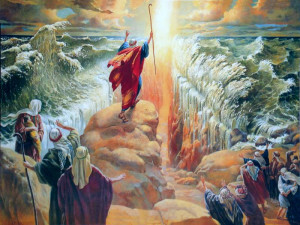 He began to make du`a (supplication): yaa Rabbi (O my Lord) we are here, the nation finally came and now open the water. Allah Azza wa Jal did not open the water and his nation began to curse him. Allah Azza wa Jal had a hikma (wisdom) in that too. That see your people did not really believe in you and you kept pushing Me to release but I want to show you that when you came to that water, you made your du`a and it didn’t work and your people, because what blocks us from seeing tabarak. What blocks us from these realities is hasad, jealousy. This is from the six big prophets of the Divine, who speaks to Allah Azza wa Jal, why he needs a staff to touch the water? It is called tabarak and blessings. It is called humility. If you think you can say ‘part’ and it moves and they think you are god you are now shareek with Me. Allah Azza wa Jal says “I don’t want a shareek; you don’t want your people to think your are god too. Why do you want to exhibit that power and that recognition? Make it to be humble, let the people think that it is the stick that is doing it,” and he put his stick to the water and made du`a and again nothing happened. The people became furious. Musa said; “Yaa Rabbi I am now in big trouble, nothing happened.” Allah Azza wa Jal said, “No this time when you touch the water ask from the sea, ‘yaa Khalil ur Rahman for the sake of Allah Azza wa Jal open.’” Means even mention its name because it has a secret. 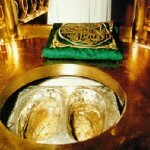 Now he put his staff and asked: yaa Khalil ar-Rahman and the sea parted for the presence of Nabi Musa alayhi ‘s-salaam. It means everything in our life is in front of us. Why do we have eyes that read but we don’t see, ears that hear but we don’t hear; ears that are supposedly to hear but they don’t hear, they don’t really hear from the heart? That ‘Asa/stick to touch the water and for the sea to part. If Allah Azza wa Jal is giving that power to the ‘Asa (Cane) of Nabi Musa alayhi ‘s-salaam, imagine the stick from the lovers of Sayyidina Muhammad, what that stick can do? Means what greatness is in the akhlaaq, in the character of Sayyidina Muhammad sallallahu alayhi wa sallam that he exhibits nothing of these realities. 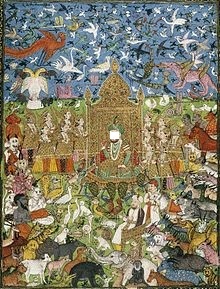 He didn’t want to be known for any of these type of realities but he (saws) is the container of all of those realities. We come to the story of Sayyidina Sulaiman alayhi ‘s-salaam who was given the entire ‘mulk wa samawati wal ardh’ means he had full authority over the angels, the jinn, the shayateen, and the ifreet, the wind, the birds the animals, everything was giving to Sayyidina Sulaiman alayhi ‘s-salaam. 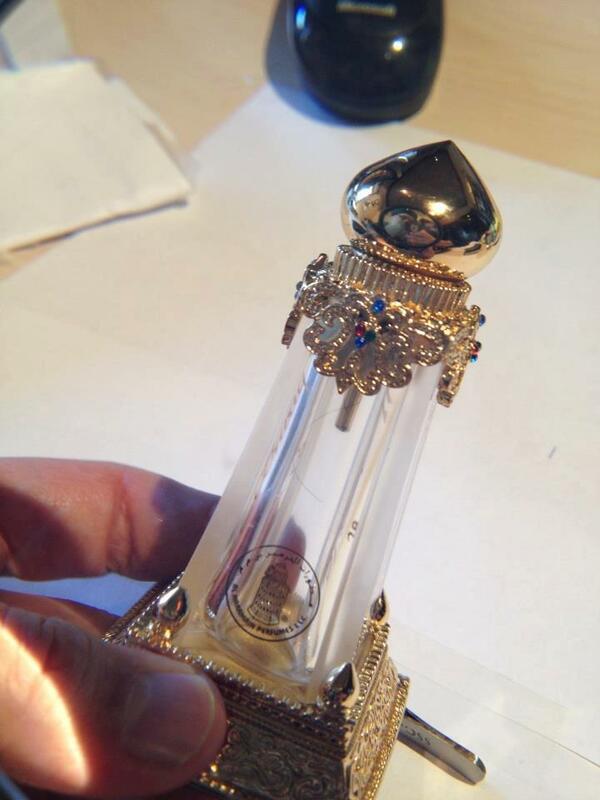 was it given to Sayyidina Sulaiman alayhi ‘s-salaam was through the ring of Sayyidina Sulaiman alayhi ‘s-salaam. Allah Azza wa Jal could have opened that authority into the heart but by means, Allah Azza wa Jal wanted to show again a sign of humility that: I give you a ring from the Heavens. 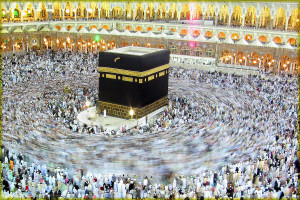 They brought down the ring of Sayyidina Sulaiman alayhi ‘s-salaam and through the ring of power he was given authority. So much so in its daleel that he had done something not pleasing to Allah Azza wa Jal and a jinn was able to take the ring of Sayyidina Sulaiman and assumed the image of Sayyidina Sulaiman and take his position and his throne of authority. Sayyidina Sulaiman was sent to be bewildered into the jungle and within his community he lost his image and his authority. It was to that extent the ring of Sayyidina Sulaiman alayhi ‘s-salaam had its power. That as soon as Allah Azza wa Jal took the ring away and allowed the jinn to impersonate the Nabi and sit on the position of power, all of that power was dropped and taken away. 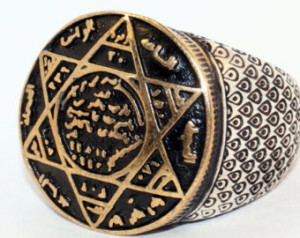 To that extent Allah Azza wa Jal shows the reality of a ring. Sunnah of Sayyidina Muhammad (saws) Carries ALL those Blessings. Then the sunnah of Sayyidina Muhammad sallallahu alayhi wa sallam what do you think is in the power of their ring? What do you think is in the power of their Asa? What do you think is in the power of their hands? Tabarakal ladhee biyadihil mulk. Allah Azza wa Jal says the tabarak, “blessed be the hands that contain this Dominion.” Which Dominion? The Dominion that has been described in Holy Qur’an. That all the tabaraka of Hajj, all the tabaraka of Nabi Musa, all the tabaraka of Sayyidina Sulaiman, all the tabaraka of Sayyidina `Isa and Sayyida Maryam alayki ‘s-salaam. Means everything is about seeking a means to Allah Azza wa Jal and through that means being humble enough that yaa Rabbi our life is about seeking realities, where are You hiding them? When we are humble enough to seek them out Allah Azza wa Jal dresses us from that reality, blesses us from that reality, blesses from that reality. All authority and all power comes from Allah Azza wa Jal. 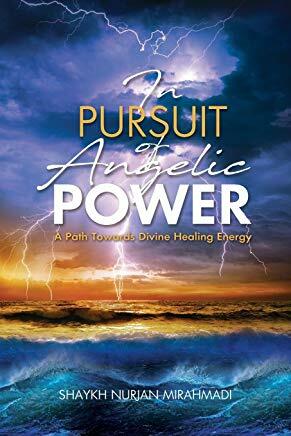 So it is not the stick of anyone that is powerful but Allah Azza wa Jal, it’s like a treasure hunt as soon as you get near it Allah Azza wa Jal grants that power. It is the not the ring that had power but Allah Azza wa Jal grants the power and the authority behind that. Means everything is about the love of Allah Azza wa Jal and the belief and Oneness of laa ilaaha illAllah. What Allah Azza wa Jal wants from insaan/humans is to be humble and seek a means in which to approach My Divinely Presence. And we live our life like a treasure hunt, looking for all these realities, trying to be blessed by these realities. Alhamdulillah we pray that Allah Azza wa Jal dresses us from these lights. What was the value of a single strand of blessed hair of prophet peace be upon him with the sahabas and tabi’yeen (their followers)?? May Allah subhanahu wa ta’ala provide us with the hairs of prophet sallalahu alaihu wa sallam and make it dearer to us than our lives Aameen!! Imagine the light within the Holy Hair of Sayyidina Muhammad sallallahu alayhi wa sallam, that the blood, the DNA, every emanation is sending to the reality of Sayyidina Muhammad sallallahu alayhi wa sallam? How that must be dressing just one atom of Prophet sallallahu alayhi wa sallam. Means the one atom, one small piece is as powerful as the whole, it comes from that reality. What is Allah Azza wa Jal dressing up on that one Hair? What is Allah Azza wa Jal dressing upon the Hair of Prophets, the Hair of the Companions, the Hair of Ahlul Bayt? Upon their Asa? Upon their turban? Upon their rings? It is unimaginable. Allah Azza wa Jal says in Qur’an: Sayyidina Yusuf alayhi ‘s-salaam healed his father from a distance with his shirt. Sayyidina Yaqub, who is a prophet and he went blind out of crying for the love of Sayyidina Yusuf alayhi ‘s-salaam. A test was going to come to Sayyidina Yaqob (as) and his son was going to be taken away from him. 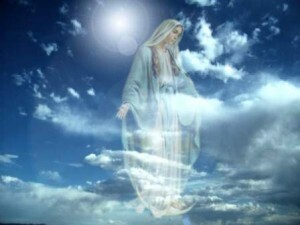 He describes, Noor ul `Ayn, “You are the light of my eyes,” because Sayyidina Yusuf is a Prophet of Allah (aj). He is carrying the beatific lights of Sayyidina Muhammad (sallallahu alayhi wa sallam). (His father) said, “When this test comes and we become parted Allah (Azza wa Jal) is going to take you away from me,” Sayyidina Yaqub became blind. He became blind out of love for Allah (Azza wa Jal) under ati ullaha ati ar-rasul wa ulul amri minkum. That his obedience to Allah (Azza wa Jal) and knowing and understanding the darajat (station) of his son. That the darajat of Sayyidina Yusuf was so high, the beatific lights so immense upon him, that when Allah (Azza wa Jal) made them to part he lost his vision from crying. All the ‘Ashiqeen, in all these naats and daroods and all the salawaat are begging Prophet (sallallahu alayhi wa sallam) for just one nazar (gaze), that grant me one khashf when my heart is closed. That you gaze upon me and restore my vision back, not the vision of this dunya but the vision of my Akhirah reality. That Allah (Azza wa Jal) brought me from Paradise and put me into the prison of this dunya. And in this dunya we are all blind, lost to all of its crazy allurements. Yaa Rabbi open my heart to see the reality. That love was so intense that the distance made Sayyidina Yaqub to become blind. Now to understand tabarak and Allah (Azza wa Jal) gives tabarak (as described) in Holy Qur’an for the Bani Israel, imagine then Ummatun Muhammad (sallallahu alayhi wa sallam). What Allah (Azza wa Jal) gave to Ummatun Muhammad. The tabarak that when Sayyidina Yusuf (alayhi ‘s-salaam) was going to be reunited with his father he says, “Just take my kamees,”. 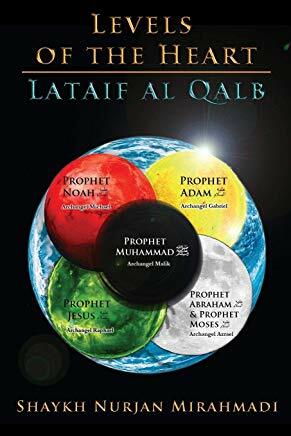 Everything from the Prophets is in the Sunnah of Sayyidina Muhammad (sallallahu alayhi wa sallam), all of them were gifts from Prophet (sallallahu alayhi wa sallam). The Sunnah of the kameez, the Sunnah shirt that healed. 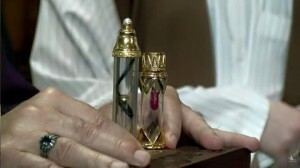 As the shirt was approaching the prophet of God he could smell the fragrance of Sayyidina Yusuf (as). That is `ashiq, that is love. If we have love for Prophet (sallallahu alayhi wa sallam) we would smell the tajalli’s that are drawing us to the `Ashiqeen. We would smell and the fragrance of Prophet (sallallahu alayhi wa sallam). Wherever we go we will know that is a Muhammadiyon association, we would feel the light and the presence of Prophet (sallallahu alayhi was sallam), we smell the fragrance of Sayyidina Muhammad (sallallahu alayhi wa sallam). If we had that level of yaqeen (certainty) like Sayyidina Yaqub. 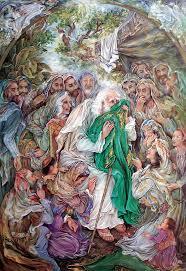 So much tabarak (blessing) in the shirt that he smells the fragrance and his eyesight is beginning to be restored. He didn’t even have to touch the face yet. From the distance it was healing and the fragrance was being revealed. Why? because these are people whose hearts are open; they see the lights, they see the blessing that Allah Azza wa Jal is putting. Allah (Azza wa Jal) describes that: they placed the shirt upon his face and his vision was restored. Where is the shirt of Sayyidina Yusuf (alayhis salaam) and the Holy Hair of Sayyidina Muhammad (sallallahu alayhi wa sallam)? It is not even in comparison, it is not even a drop within the ocean of what Allah (Azza wa Jal) gave to His Habeeb (beloved). Everyone in Creation is running for the love of Allah (Azza wa Jal) and Allah (Azza wa Jal) is calling Sayyidina Muhammad (sallallahu alayhi wa sallam), “My Habib”, “My Beloved”, “My Beloved Servant”. It means everything in Islam is tabarak. 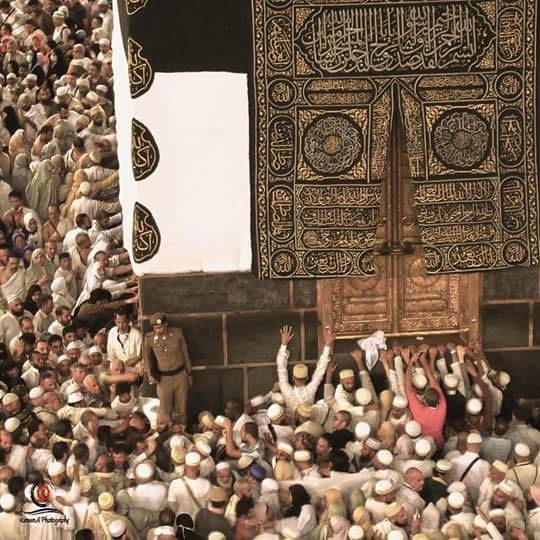 Why do you go for Hajj? It is not for stones. Why do you drink Zamzam? You could drink this water. 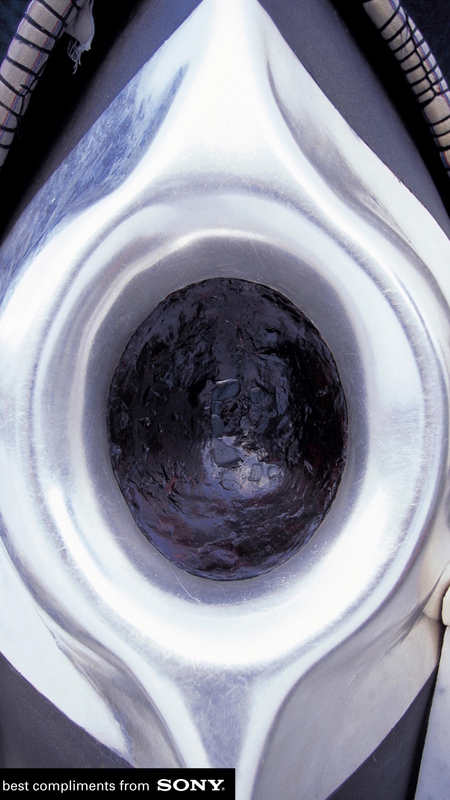 Why are you kissing Hajr ul Aswad, the black stone? You should be kissing the hands and feet of Sayyidina Muhammad (sallallahu alayhi wa sallam) who is the owner of Paradise, not the rocks from Paradise. We are not the people who care for the rocks from Paradise. We want to be with the owner of Paradise, Sayyidina Muhammad (sallallahu alayhi wa sallam). The one whose tongue speaks for Allah (Azza wa Jal) and gave us Holy Qur’an. It means the tabarak is deep in our beliefs. And when we have that belief it can cure every sickness. It can take the blindness of the heart so that the believer begins to see their Paradise reality. We pray that Allah (Azza wa Jal) opens for us these realities and this love for Sayyidina Muhammad (sallallahu alayhi wa sallam) inshaAllah. Why Allah Azza wa Jal had to put that blessing in a shirt? Why didn’t He just grant him to see again? Hmm because Shaitan wants us to be fooled, always the coyote comes into our life and says, “O no, no! Don’t do this, don’t do that, don’t, don’t, just you sit and sit and wait Allah Azza wa Jal will dress you directly!” Allah Azza wa Jal did not dress any of the prophets directly, did not dress any of the stories directly, why does Allah Azza wa Jal have to dress you directly? Why, because Shaytan makes us to think we are much bigger than we are, and to make us arrogant and boastful and that becomes the downfall in the shaytanic way. We pray that Allah Azza wa Jal teaches us and keep us in the way of Sayyidina Muhammad, which is the way of humility: yaa Rabbi ana abdu daif wa maskeen, yaa Rabbi I am weak and I am in need of all Your blessings. Guide me through my heart on a way to seek them and to recieve them and be a recipient of them inshaAllah. Subhaana rabbika rabbil izzati `amma yasifoon wa salaamun `alal mursaleen wa ‘l-hamdu lillahi rabbil `aalameen. 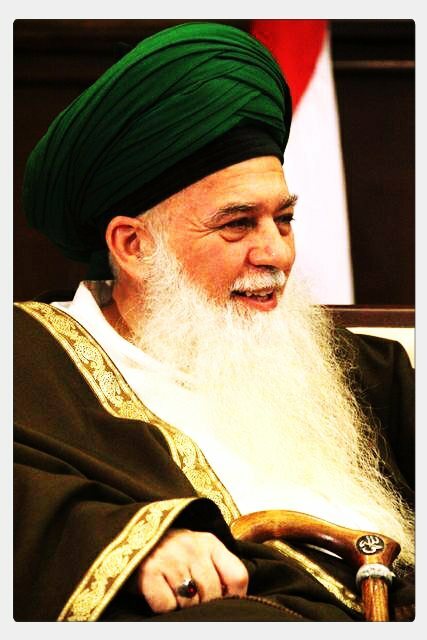 Bi hurmatil Muhammad ul Mustafa wa bi sir Suratal Fatiha.